The classic DR-40, four track tascam model has been brought up to date, with two XLR / balanced line combo inputs on the bottom and stereo built in mics at the top. 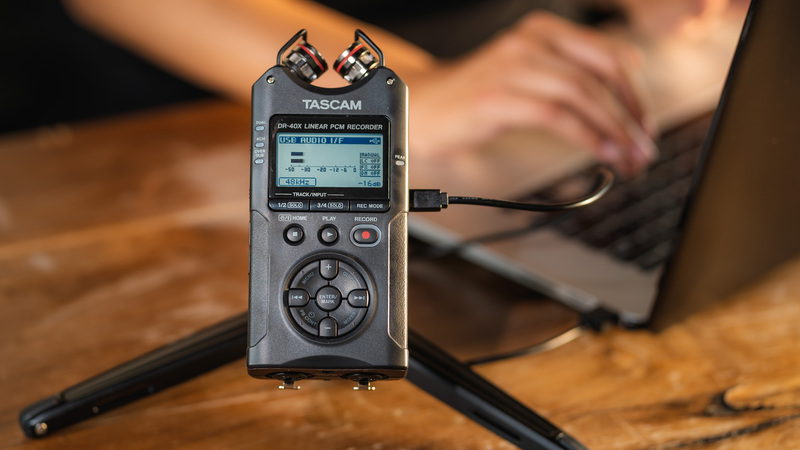 The config makes it perfect for uses such as recording the stereo feed from a desk at a live gig and capturing the crowd noise using the built in mics in X/Y or A-B position. It's also got Phantom power on the XLR inputs, so could also be used for location or acoustic guitar recording with two spot mics and the built in pair capturing room sound. The controls have been redesigned for speed and most key features can now be accessed with one thumb operation, with common functions such as adjusting levels, adding markers and of course, record are all activated with a single button push. They've even added a safety track funnction to record the same source at different gains on different tracks, to cope with that "overexcited vocalist syndrome" that can often occur. 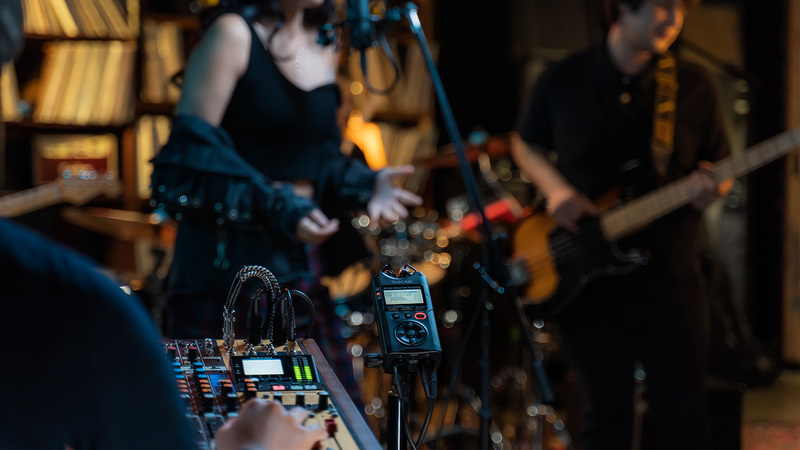 Connect to a PC in USB Audio interface mode, and DR-40X becomes a tool for voiceover work, live streaming and songwriting with studio-quality audio. Built-in microphones appear as USB mics.